The Indonesian woman accused of killing Kim Jong-nam, the half-brother of North Korea's leader, has been freed after charges against her were dropped. 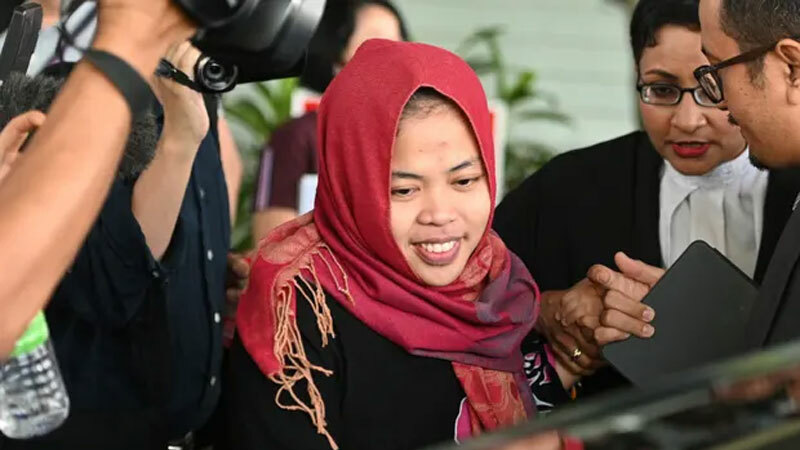 Siti Aisyah had been accused of smearing VX nerve agent on Mr Kim's face in Kuala Lumpur airport in 2017. The brazen killing at an international airport left observers stunned and gripped international headlines. After several months of delay, the defence phase of the trial was set to begin Monday, with testimony from Ms Huong. However, the prosecutor in the case requested the murder charge for Siti Aisyah be dropped, without giving a reason.